The Southend TUC is fully supporting the Day of Action for pensions justice called by the Trades Union Congress (TUC) on Wednesday 30th November. We express our full solidarity with striking trade union members and call upon the Government to enter into genuine negotiations to secure the future of the public sector pension schemes. 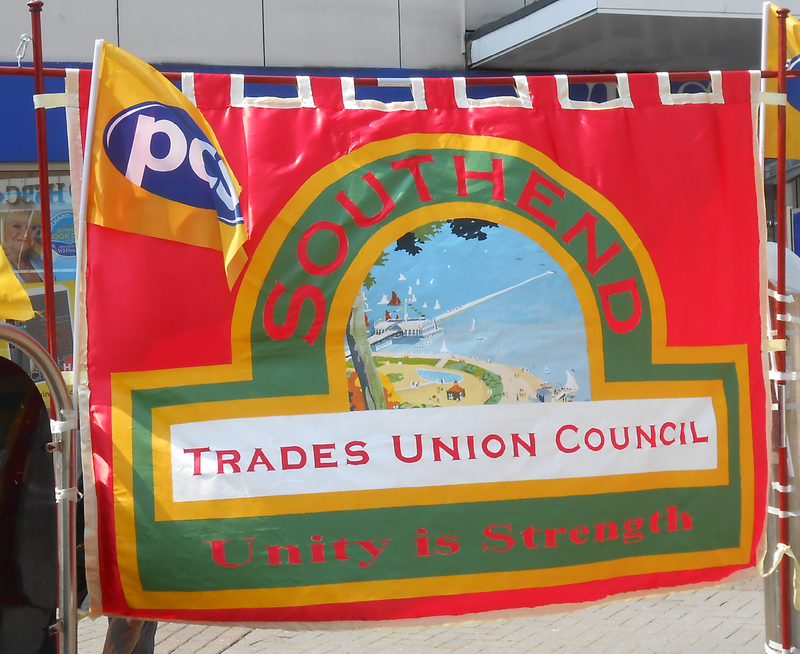 The Southend TUC, in conjunction with the campaigning group Southend Against The Cuts, have organised a rally for union members and supporters under title ‘Unit the Resistance’ at 11.00am in the Victoria Plaza Area outside the Odeon Cinema, Southend High Street. In addition there will be a march of union members to Victoria Plaza starting from the Civic Centre, Victoria Avenue at 10.45am.